Hello Org Junkie readers! 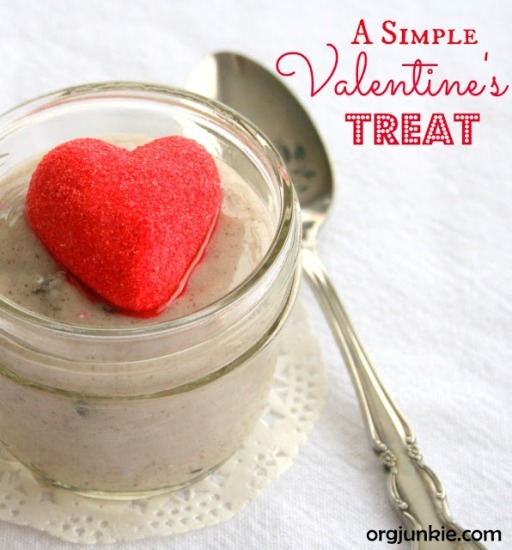 I am so happy to be here today to share a super simple Valentine’s Day treat with you! 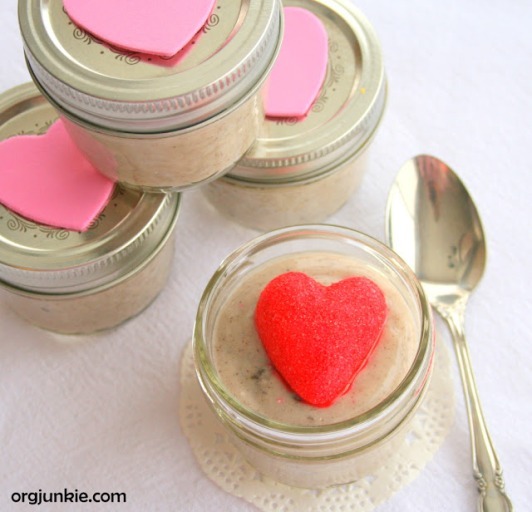 I know we are all ‘CEO’s’ of busy families, and sometimes we don’t have time to bake or baking is not our thing, so I want to give you an idea for a wonderful little surprise that you can whip up in 5 minutes for the sweet ones in your life. Even the easiest &amp; simplest of things can make people feel special. -foam hearts from the dollar store to decorate, if desired. 1. Make pudding following directions on package. Pour into little 125 ml mason jars or small bowls. 2. Add heart-shaped marshmallows just before serving. 3. If using mason jar, glue or tape on a little foam heart, if desired. 3. That’s it! Wasn’t that easy? These simple treats would be great to pack in your child’s lunch for school as a special surprise from Mom or Dad. They would also make a great after-school snack or a dessert after dinner. And remember, anything made with love, no matter how simple, is one of the best things in life! 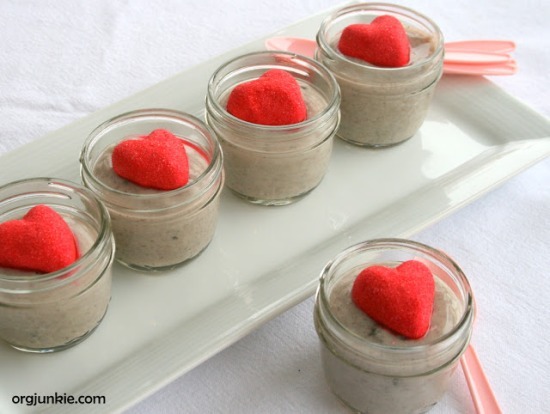 And you can also check out my Valentine’s Inspiration Board on Pinterest where I have over 200 wonderful ideas pinned. Angie’s blog, Echoes of Laughter, is all about filling your home with love and laughter. She loves creative projects, organizing & decorating, cooking, baking, and all things domestic. 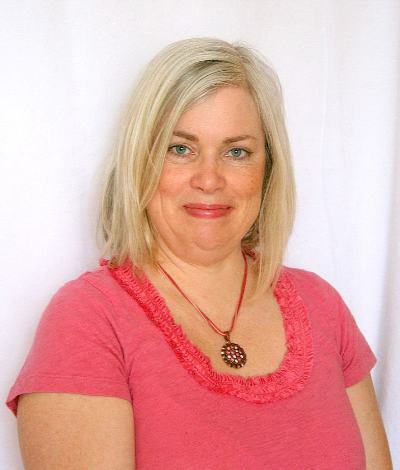 Angie lives in Alberta, Canada with her husband and two great kids.